Hi friends! 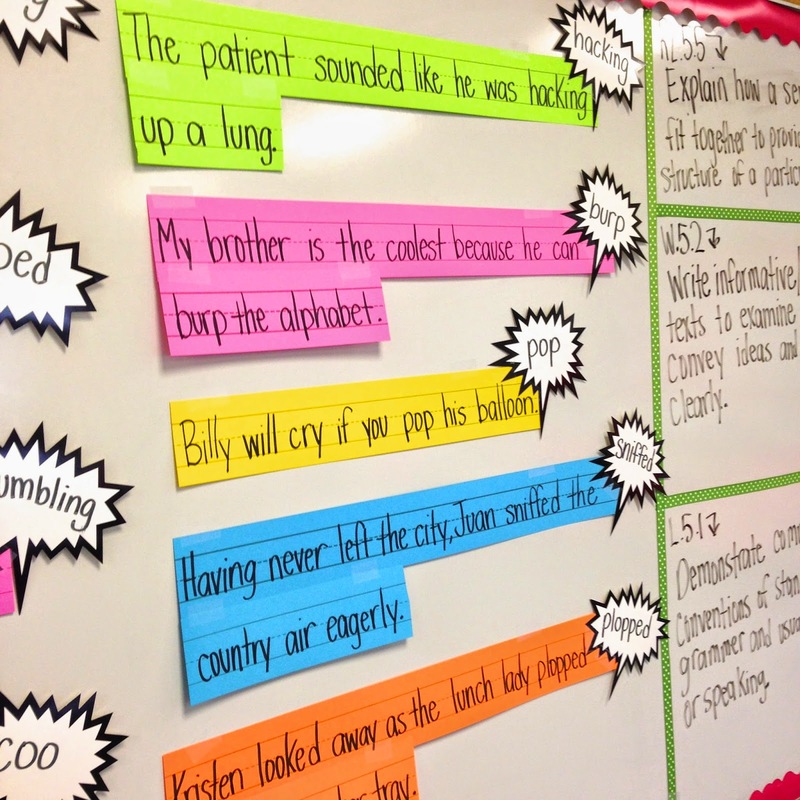 Today I'm excited to showcase a new collection from Teacher Created Resources. Their new superheroes theme has some great pieces in it and I'm especially loving the speech bubble accent pieces. 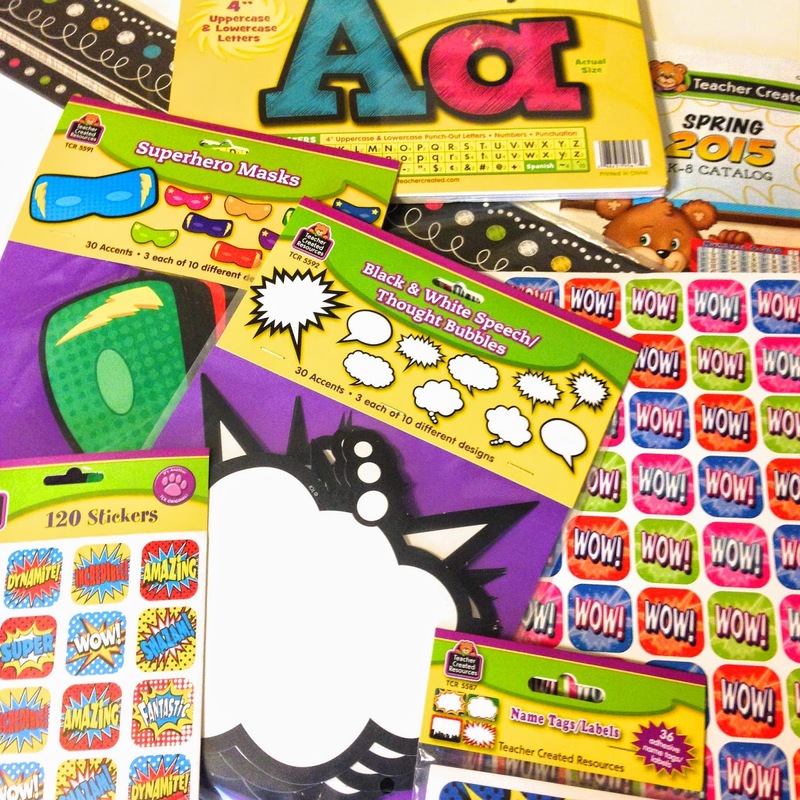 There's SO much you can do with these and when I first saw them, I knew exactly how I would use them. We just finished up our novel study on Tuck Everlasting and what I love about that novel is how rich it is in figurative language. 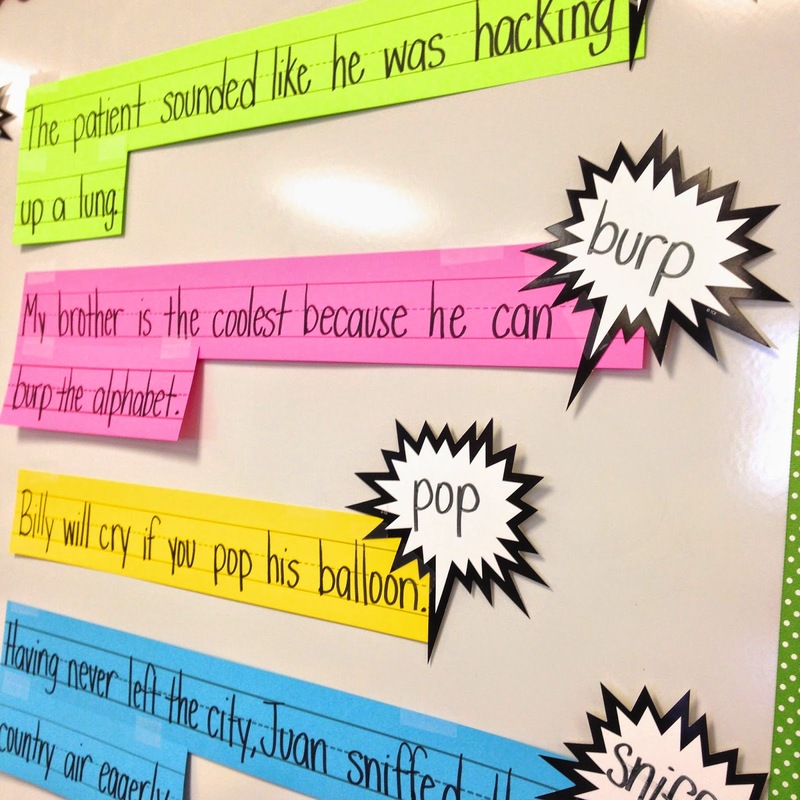 We discussed onomatopoeia last week and I used the superhero collection from TCR as a mini lesson. To introduce this element of figurative language, I used this amazing poem from Oscar Learn, Oscar Teach that I found via Pinterest. Then we watched a clip from the old Batman tv show and we wrote down the onomatopoeias we found in the video clip. I used the superhero accent pieces to create some examples. 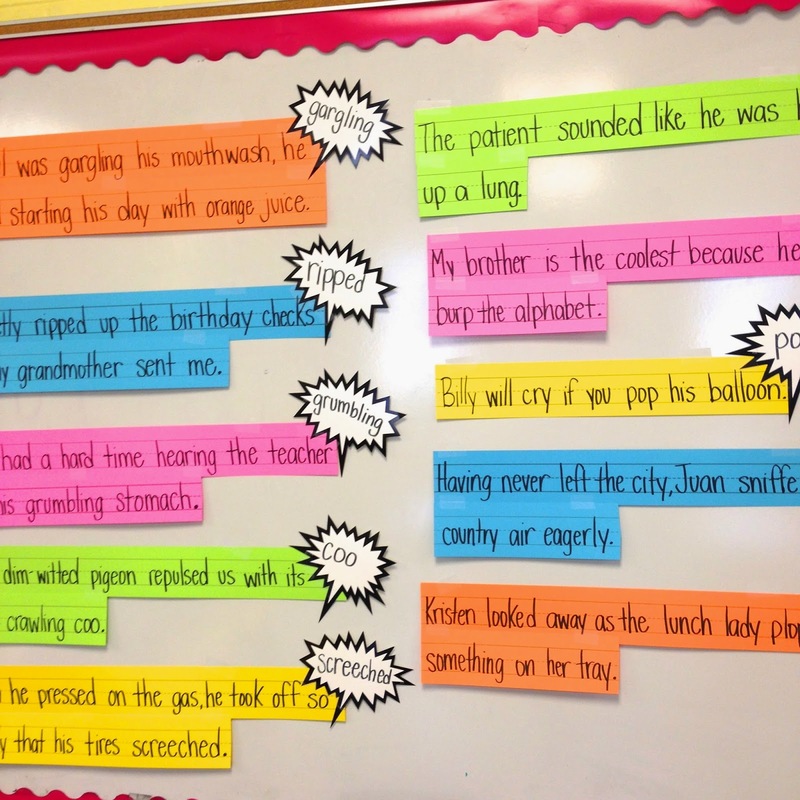 I wrote the onomatopoeia on the accent pieces and covered them with sticky notes. 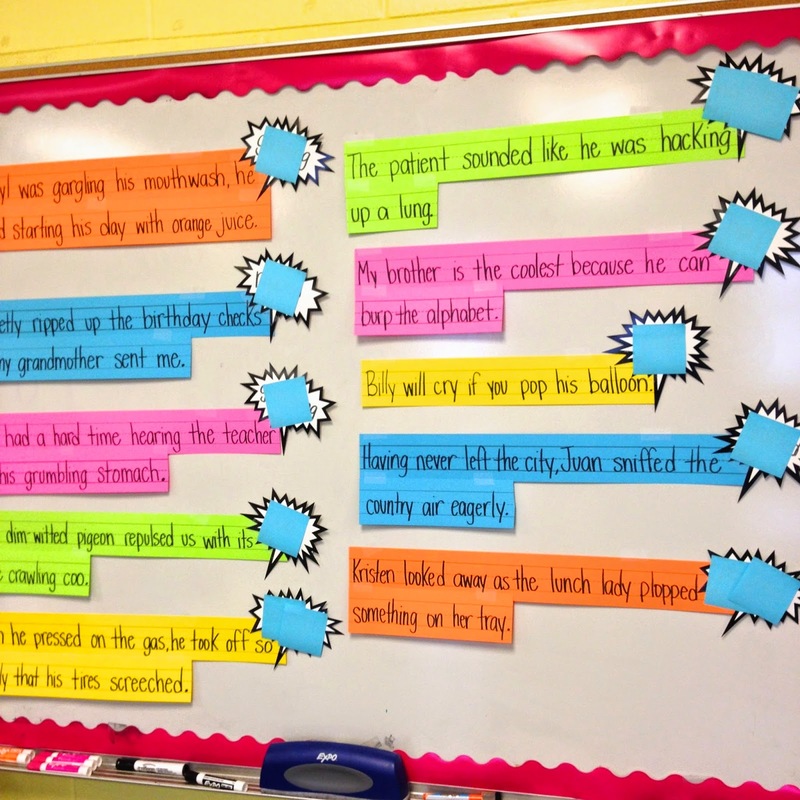 We read each sentence and determined the onomatopoeia. Then we pulled off the sticky notes. We then tested our knowledge using this fabulous little figurative language resource from Erin Cobb. I'll be back soon to show y'all how I'm using TCR's other new collection: Chalkboard! Stayed Tuned!